Carnaval Tropical de Paris 2011, July 3rd at les Champs-Elysées. 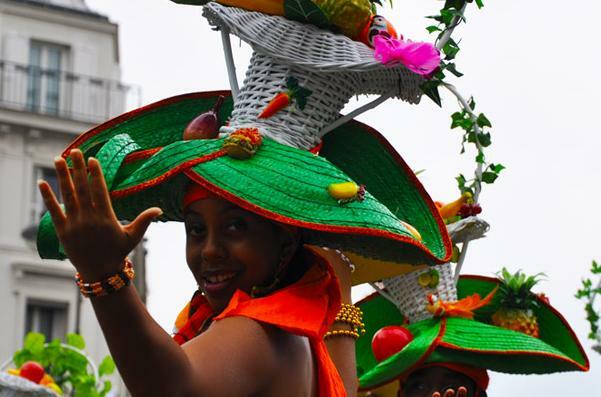 Each year for the past decade, a summer day along the Champs Elysées has witnessed an explosion of colour and creativity as the parade of the Carnaval Tropical de Paris passes through. On July 3rd this year, the event celebrates its 10th anniversary. The parade has chosen a Scene in the Tropics theme for the occasion. Visitors will witness over twenty groups from different countries bringing their own brand of celebration to the most famous street in Paris. Countries such as Brazil, Colombia, Indonesia and Antilles-Guyana have combined to create this wonderful spectacle, which will be opened by the recently elected Queen of the Carnaval, 24-year-old Celine Patole of Martinique.